Because he is not just a Pastor, he is a real christian, one who defies any condition to please God, a fiery teacher of righteousness, a revivalist and great friend. These qualities are rare in our age where there are lots of deceptive religious gimmicks all over town. 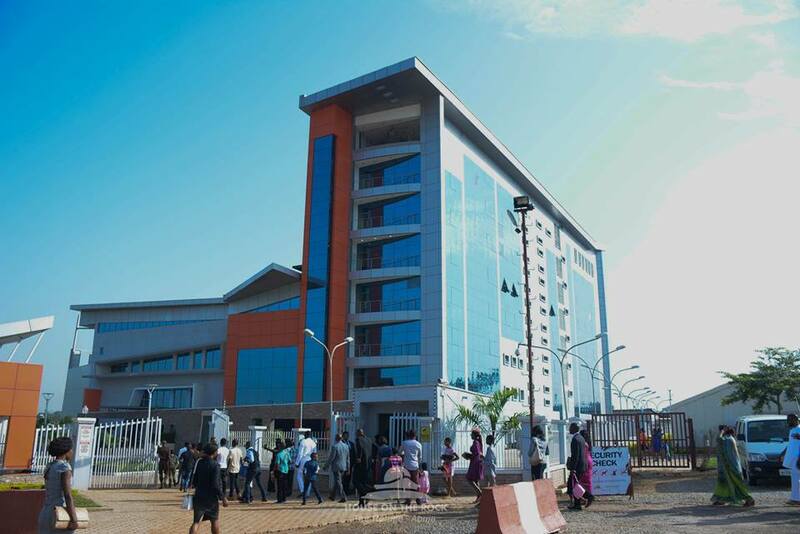 I came as an almost naive 28 year old girl into a new city (Abuja) at the time, I found my way to this local christian assembly and got stuck. Coming from a Deeper Life background myself, switching to House on the Rock was for me a whole world of self discovery and getting my self worth. More so, God used this man of God to polish me to a finesse in a way that this blog space cannot contain. I owe my business, blog success, life decisions and many good things to God who used this man and his lieutenants to teach me righteousness. 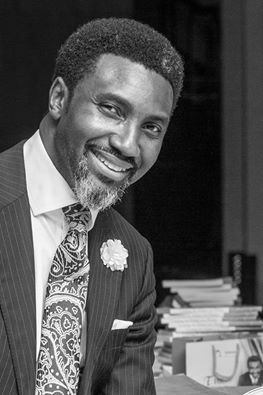 So, you could see my trouble when on Thursday, October 13, 2016, he gave a 15 minutes account of his stewardship of serving as the under shepherd in House the Rock Abuja and announced that day as his final day as resident pastor having been released by his father in the lord, Pastor Paul Adeolu Adefarasin. How could God ask our pastor to leave House on the Rock as Pastor and go on a new assignment which in fact he said he struggled with - this realisation, for 2 whole years? We cried and asked, searching each other's faces. But we know that God is sovereign and since he is directing him and us all, it is for the best. In fact this incident, made me more resolute to hear and Obey God no matter whose ox is gored. Then came Sunday October 16, which for me is the best part! Kai, you know I love men and women whose lives are examplary because they adopt a set of positive values and live by it. So it was such a 4 hour service where the Presiding Pastor of all House on the Rock churches world wide, Pastor Paul Adafarasin was present to receive first time guests, tell us his brokenness to yield to God who directed Pastor Goodheart to leave and also announced a befitting send forth event for Pastor Goodheart. He led a celebratory session and we all gave God glory for the gift for a man like Pastor Goodheart and his wife Abimbola Ekwueme, even though they were not in that service but had proceeded on a spiritual retreat. Knowing my pastor of 8+ years, I feel he did not also want the over 4, 000 people almost mobbing him, and make him cry more with their own tears assuming he was in attendance because he couldn't have also 'escaped' people because of his good naturedness. So I feel, it was better he was not even around. 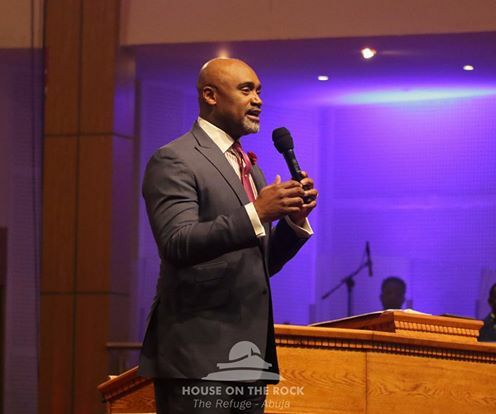 Pastor Paul Adefarasin took his time to speak to volunteers, staff and leaders of the parish through his deep pain (he was visibly fighting tears throughout) and encouraged them to be steadfast in service to God at all times. He said we must obey God in all things and strive to be planted in Him in order to prosper in His assignment over our lives. He also as a matter of fact, dispelled the rumours of rancour that has been trailing the resignation, saying that Pastor Goodheart has served well, gone through hand over processes, and did not resign for any quarrels or misunderstanding but said he purely wants to obey God. He gave instances of what so-called men of God have even counselled him to do in the situation- quite ungodly counsels and how we must be careful of taking devilish counsels from people we think or perceive as Christians because they are in church. He took time to also explain that God consoled him with 3 messages - he must trust him and not be anxious, he must be magnanimous and also he must go forward. The Citadel and Towers on Sunday as Parishioners hurriedly made their way to the first service without Pastor Goodheart but excited that Pastor Paul was in the house. 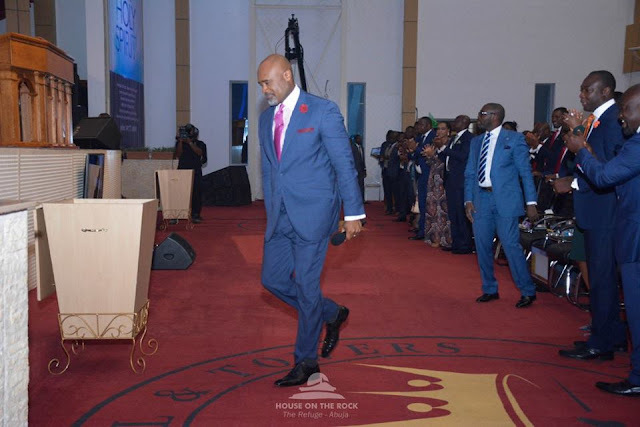 The service healed most of us, like me, because I can only be more challenged to live a transparent, non deceitful, but in total yieldedness to God having been constantly reminded through the lives of these great kingdom men, Pastor Paul Adefarasin and Pastor Goodheart Ekwueme. I love the coming revival and I celebrate God for men that follow Him sincerely, pointing our generation to righteousness. God spreads His kingdom by releasing sons to manifest. This is not a subtraction, but a serious expansion. I love Rev. Goodheart and Rev. Paul Adefarasin. I had wanted to ask how service was on Sunday, but this post answers whatever question(s) I might have had. It's all for the advancement of God's work. Yes yes yes...there are phenomenal...may they not miss rapture like I pray for myself, I do for both of them too. So refreshing! Thank you for this, my first time visiting your blog. I am blessed. I'm touched... can't explain the feeling. The Pastor I admire the most in HOTR aside Pastor Paul. God bless Rev. Good Heart and his wife. This is definitely not an easy decision. I respect him the more because this decision shows he has conquered the lure for power which holds many men in sway. God bless and keep him. WOW! Thank God for the large heart of Pastor Paul. The truth is this, it is not easy leaving our comfort zone but obeying God brings peace. I celebrate both of them for the maturity shown in their actions. Thanks for the truthful write up. So many others thrive in spewing divisions. Of his kingdom there is no end,multiplication as directed by God is encouraged and it will speak at the end. Awesome and truthful write up God Bless you. 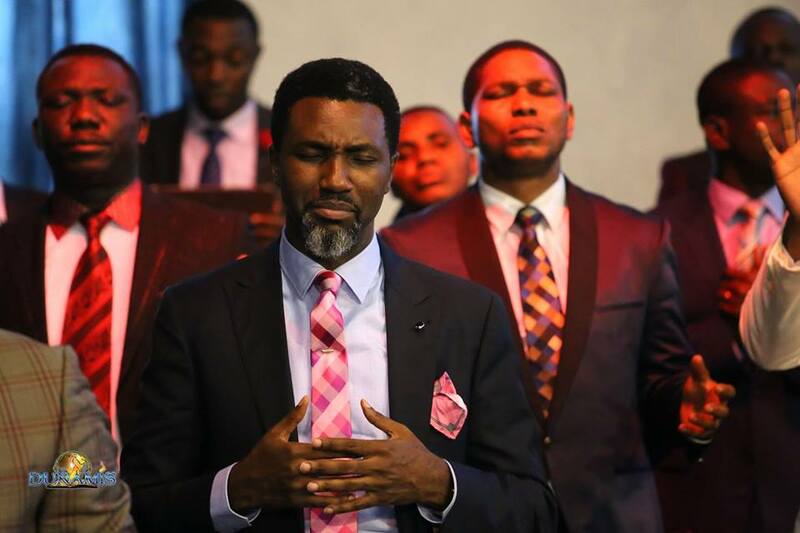 Oh, I had no idea he's no longer the resident Pastor of the HOTR,Abuja.Such a passionate Christian!.May the lord who called him,keep him wherever he sends him.Ok,so just discovered your blog today and I can say well done! We turned up for Church one morning to hear that Bishop Onaga has transferred Fr. Ndubuisi Obodo, the very amiable and charismatic priest of the parish. The youths ran berserk. They made to protest to the Bishop's court but.....the priest restrained them and reminded all about his vow of obedience. In tears, we bade farewell. I remember his words after mass that day; he sais: " Though obedience is painful at first, it pays off at the end". I understand what it means, when the man standing on that your spiritual gap suddenly leaves. Most times you feel abandoned...almost like an orphan. But then, for Joshua to emerge Moses had to give way...same thing Elijah and Elisha. In fact Christ confirmed that it was in the programme of God for him to depart so that the Holy Spirit would come. Obedience is the true test of apostleship!!! What examples! Kai they're men who understands the beauty of service Rio God.